With the release day for MXGP 2 fast approaching we continue our PlayStation 4 preview coverage with a look at the various rider, bike and team customisation options on offer. 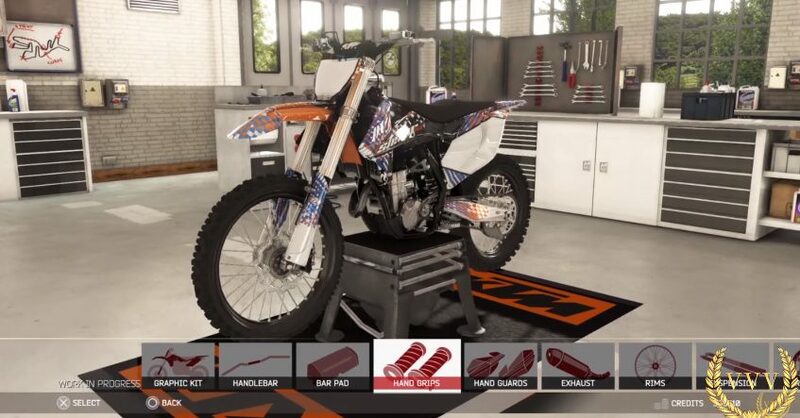 Rider and bike customisation is new to the MXGP series and is perhaps expected from a Milestone title these days as it has been featured in a few of the last two-wheeled titles released by the Italian development team. We dress up our rider in a selection of fully licensed gear including helmets, racing suits and goggles and we then switch our attention to some bike customisation where we have a play around with the various upgrades. Finally we quickly take a look at the team customisation options where you can name your team, select a logo and choose from a selection of personal and team managers. Check out the customisation options in the video below.